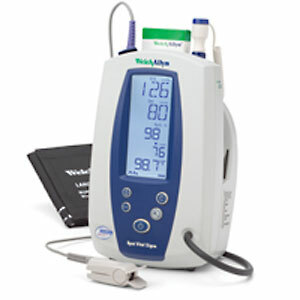 Welch Allyn Spot Vital Signs has made its mark in ambulatory and acute care settings for its accuracy, durability and cost-effectiveness. Now with updated features, the fully automated, multiparameter Spot Vital Signs has become the device of choice for frontline caregivers world-wide. Fast and accurate--completes BP in approximately 30 seconds. Multiparameter and modular so you can select precisely the vital signs you need. IR connectivity to interface with computerized patient records. Portable--carry it, wheel it, or mount it. Big, bright, easy-to-read LCD screen. Offers you one of the lowest priced multiparameter instruments on the market. 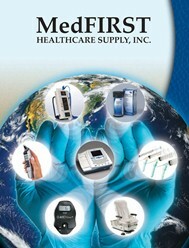 Fully upgradeable to meet your changing needs with SureTemp Thermometry and/or Masimo or Nellcor Pulse Oximetry. Integrated long-life battery enhances portability and continuous operation. 2 years on all parts and labor.